While the Bible is not a textbook for science, math, history, or any other academic subject, it nevertheless is the essential basis for teaching the truth of all subjects. 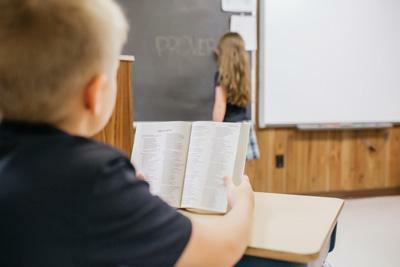 Learning at Westminster Christian Academy is based upon, ruled by, and in harmony with the Word of God. The starting point is our firm faith that the Bible is the inspired Word of God. The Bible itself teaches that, "All Scripture is given by inspiration of God..." The Bible, therefore, is the authority for our faith and our life. To believe and live according to God's Word is the mark of a Christian and the ambition of Westminster Christian Academy. When instruction is God-central, the love and fear of God are stirred up on the hearts of students. The Truth taught has opportunity to be lived out in classrooms, teams, groups, and all relationships of life. Students are called to receive the love of Christ, and in response show the love of Christ. 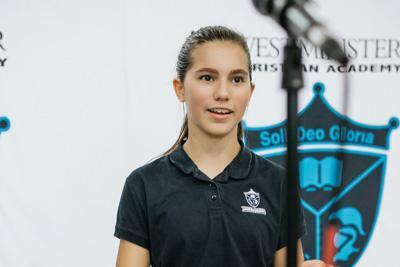 The learning environments at WCA expose students to good culture, recognizing and celebrating the good, true, and beautiful to the glory of God. With this foundation they will begin to lead conversations that will shape future culture. 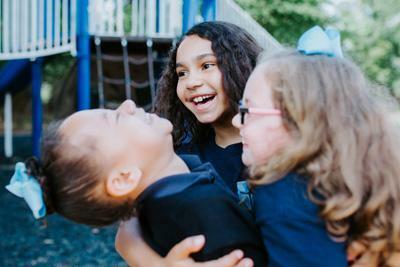 Westminster Christian Academy admits students of any race, color, national and ethnic origin to all the rights, privileges, programs, and activities generally accorded or made available to students of the organization. It does not discriminate on the basis of race, color, national and ethnic origin in administration of its educational policies, admissions policies, scholarship programs, and other organization-administered programs.